The Horsehead Nebula is a dark nebula in the Orion constellation. The nebula is located just below Alnitak, the star furthest left on Orion's Belt, and is part of the much larger Orion Molecular Cloud Complex. It is approximately 1500 light years from Earth. 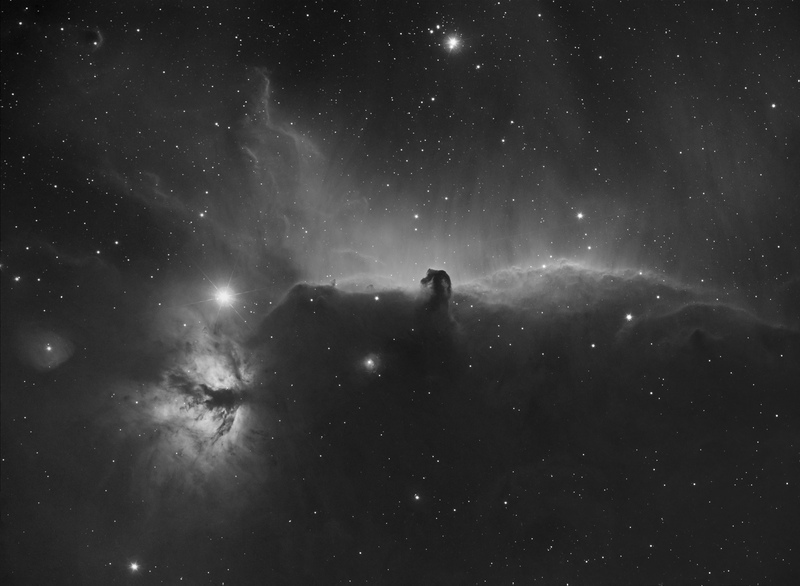 It is one of the most identifiable nebulae because of the shape of its swirling cloud of dark dust and gases, which is similar to that of a horse's head. Excellent quality even if the object was very near an almost full Moon.